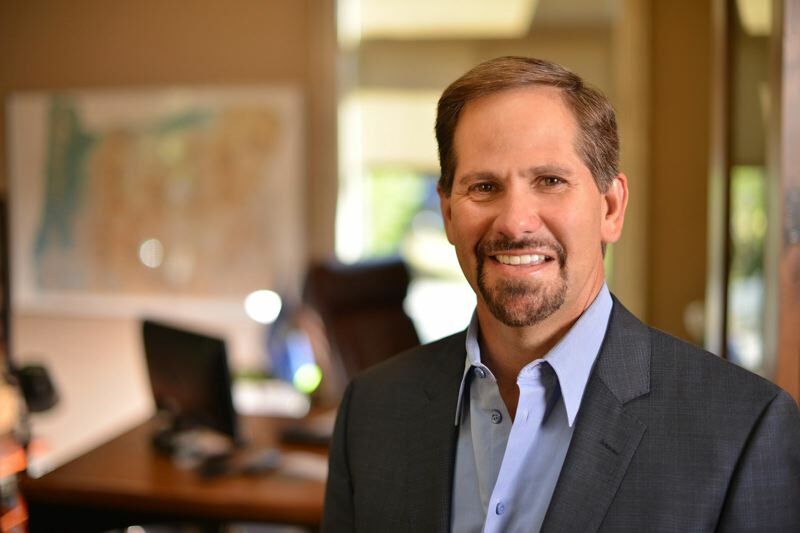 Kate Brown and Knute Buehler have broken the record for contributions in an Oregon governor's race that is still too close to call. In addition to being one of the closest governor's races in recent memory, the fight between Gov. 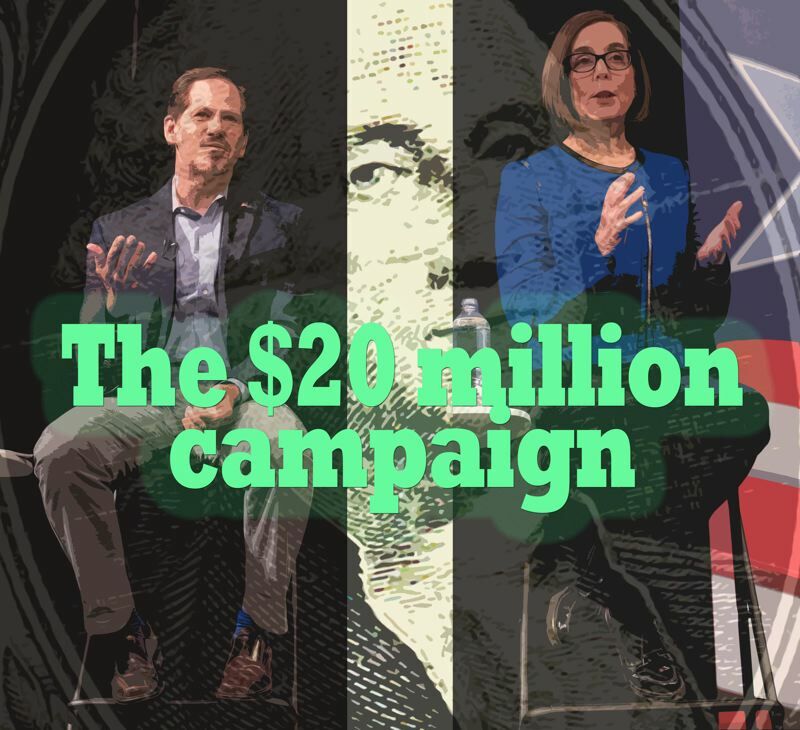 Kate Brown and Rep. Knute Buehler is one of the most expensive. As of last Wednesday, Brown has raised $7,805,941 in 2018, according to secretary of state's office records. Buehler has raised $8,115,084 this year, $1 million coming from Nike co-founder Phil Knight in what was the largest contribution in state history. In September, he got $750,000 from the Republican Governors Association. Both candidates came into the race with million-dollar war chests, and collectively have raised $20.2 million as of Oct. 4. The previous record was $17.7 million when Democrat John Kitzhaber narrowly defeated Republican Chris Dudley in 2010. An analysis of campaign finance reports shows typical spending, with the bulk of money going to advertising and marketing firms, political consultants, television and radio buys, data analytics and software. Buehler's campaign has spent big on advertising — which can include anything from materials for campaign signs or branded gadgets to television ads. And a lot of the larger expenditures went out East. So far in 2018, Buehler has spent $4,266,909 on broadcast advertising through Strategic Media Services of Arlington, Va. FP1 Digital, a public affairs firm in Alexandria, Va., has received $627,315. The campaign spent $623,371 on Red Maverick Media, a Harrisburg, Pa., political consulting firm. Brown has spread money around more evenly, and as of Oct. 4 still had $3.5 million on hand, compared to Buehler's $2 million. Her largest payments have gone to Washington, D.C., with $2,396,188 going to buy airtime through Buying Time LLC and $416,880 going to digital marketing firm Rising Tide Interactive LLC. Campaign finance reports require disclosures of where the money is going, but not necessarily what it is for. For example, a campaign could disclose a large payment to a firm that does data analytics, polling, political consulting and TV ad buys, but the campaign doesn't need to identify the particular service. Additionally, campaign season usually means the surfacing of "dark money." That's where a nonprofit or PAC not officially tied to a candidate can spend money without disclosing where it came from or where it went. 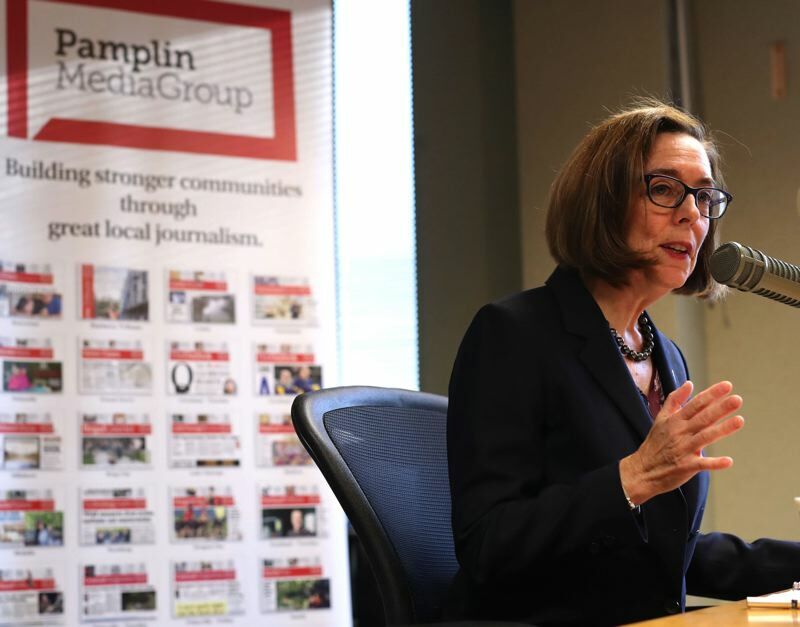 An example of this is Priority Oregon, spending about $1.5 million on attack ads against Brown in markets along Interstate 5. Salem Reporter reached out to both campaigns to see if they had detected any unusual spending by their opponents, but none was reported. Even in an ordinary campaign, however, spending reports can give some insight on the preferences of candidates. For example, Buehler's campaign has spent $1,374 on meals at Deschutes Brewery. Brown dropped $207 at Bandon Dunes Golf Resort and $184 at Mother's Bistro, a Portland restaurant. Brown's campaign used donor money for $267 on scrubs for a video shoot, $160 on a microphone rental and $157 at Starbucks throughout 2018. Buehler's camp spent $240 of donor money at a fundraiser at Topgolf, an arcade-style driving range, and $116 on tickets to an air show. Brown spent $19,806 on health insurance for campaign staff. Buehler's reports don't indicate an obvious expenditure for health insurance, and when asked if the campaign provides such benefits, spokeswoman Monica Wroblewski said the campaign doesn't discuss staff compensation. One significant difference between the two is contributions to outside political groups. Brown spent a total of $1,340,009 on outside groups — more than $1 million to her own PACs. That included $739,000 to Defend Oregon's Values, which among other expenses spent $498,000 on TV airtime. Defend Oregon's Values, in turn, is listed as providing $693,000 in in-kind contributions to Brown's campaign. Team Oregon, Brown's other PAC, spent some money on marketing firms, but largely has been used to spread money around to other political interests, such as liberal nonprofit Our Oregon and Future PAC, which funds the Oregon House Democrats. The largest expenditure was $27,500 to Our Oregon. From her campaign funds, she contributed $1,000 to a Democratic candidate for governor in Minnesota and $230,000 to the Democratic Party of Oregon. In contrast, Buehler made minor contributions with his campaign funds, giving local Republican committees in Jackson, Washington, Coos and Marion counties a combined $1,250.